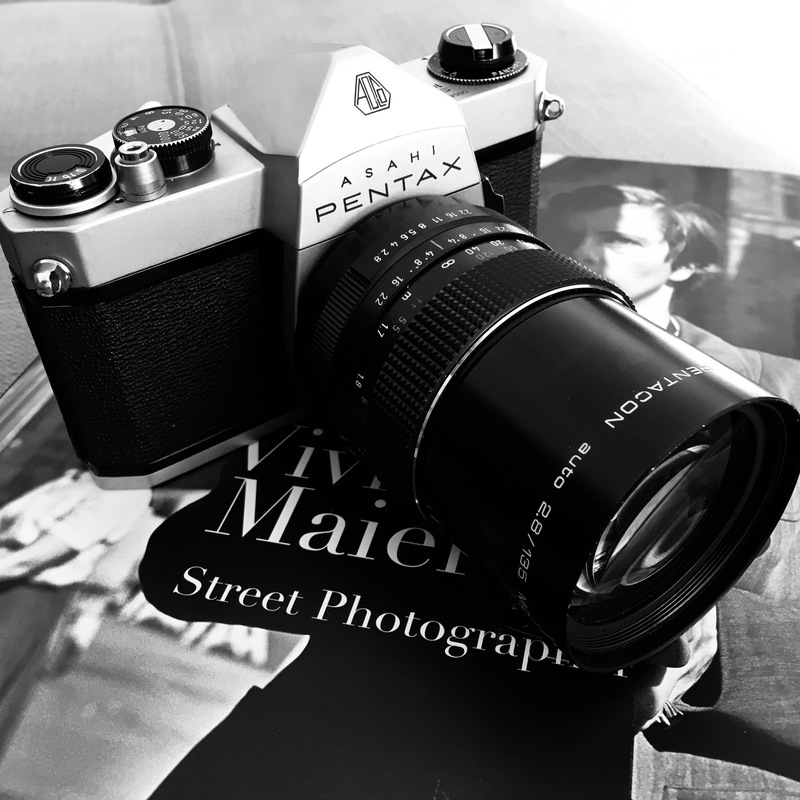 All Curves – The Asahi Pentax Spotmatic | Why Use Film Cameras ? This is a quick review about another camera I got dirt cheap, and even cheaper than the Praktica MTL5B I wrote about here and here. 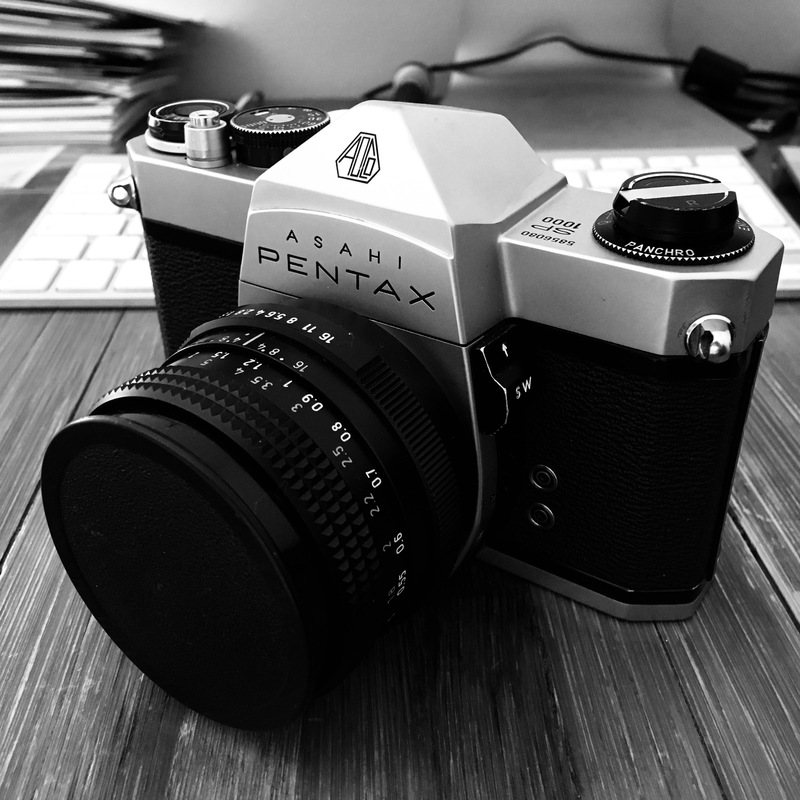 This camera is the magnificent Asahi Pentax Spotmatic SP1000. Definitely not the top model of the Spotmatic dynasty, but still a very capable tool. And it feels like a tool. No trace of the Praktica’s plastic, metallic looking top and bottom covers. A much more sturdy feel to the shutter selector, which produces a strange, not very reassuring whirring sound on the Praktica, when turned. This feels like a camera, painstakingly filed out of a solid bloc of steel. I put in on a kitchen scale with the very heavy Pentacon 135mm f:2.8 and it clocks in at just over 1100 grams. Heavyweight territory! And let’s not even talk about that excitingly shaped wind lever, a masterpiece in itself. Techically, it is exactly the same as the MTL5B. 1s to 1/1000s speeds, M42 mount, all manual with just the light meter needing a battery. Even the nifty ‘shutter-cocked-indicator’ is there. Not in the viewfinder but as a small red dot right beside the shutter button. As the Praktica, the Spotmatic uses stop-down metering, slowing you down nicely and making you think about what you’re doing. 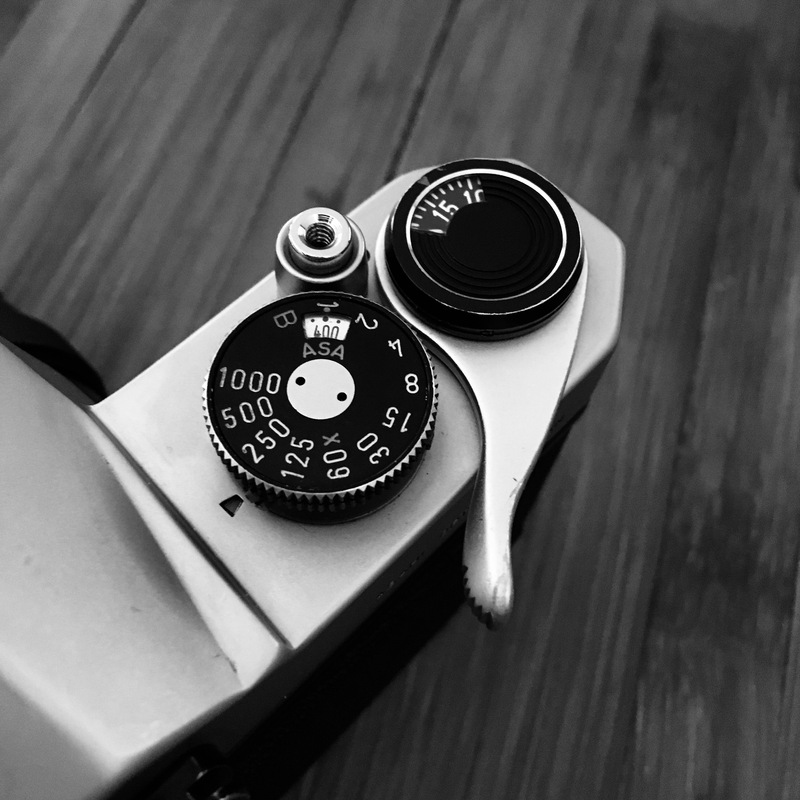 The metering / depth of field checking button is not placed awkwardly near a strangely placed shutter button as on the MTL5B but to the left of the lens mount, in easy reach of the left thumb when supporting the lens with your hand. And the shutter button… it’s in the correct spot! What to ask more? 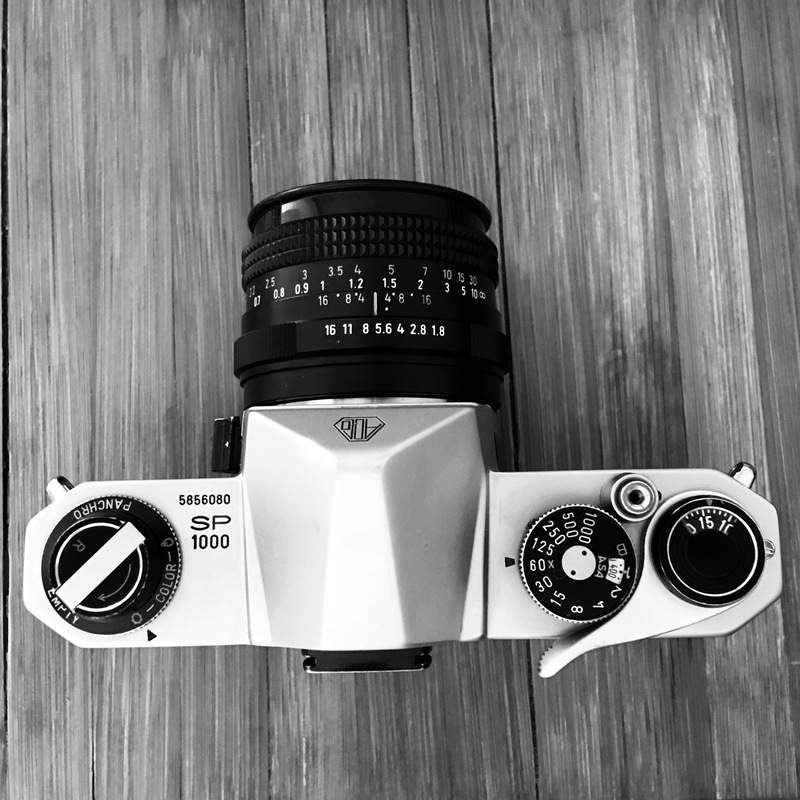 Can a camera’s layout be clearer? Guess not. But what would you need more to make photos? By the way the dial under the rewind lever on the left is just a film reminder. 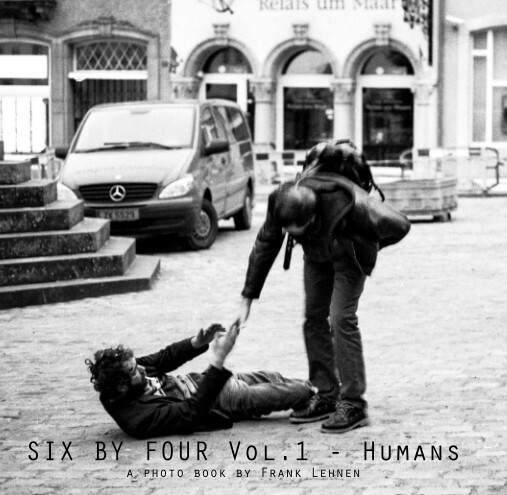 Just turn it from color to panchro (b&w for the uninitiated) or empty if the camera is…. yes! You guessed right, if it’s empty! Batteries…? No problem here! For the moment I use it without. Sunny sixteen is the word. In a few days that will be rainy five-point-six I guess! But when I want batteries I don’t have to hunt for the replacements of the old and forbidden mercury cells. A common silver oxyde watch battery will do the trick thanks to a bridge circuit in the camera. Thanks Pentax! Now I think I’ll have to seriously delve into those wonderful, cheap M42 lenses. as much as I like my Pentacon 50mm f:1.8 I think any Takumar nifty-fifty beats it easily. And after all, what’s not to love about lenses named Takumar… aaaah Takumar! ← The weather is mocking me! They are, but not dangerous in any way. No more than old watches with radon dials. But they are great! If you get one and are wondering if that is true then I happen to have a radioactivity meter. Really enjoyed this post! I love my spotmatic so much I tracked down another one on my local buy and sell. And for a film camera that age, it takes amazingly clear photos, especially when paired with a super takumar! It definitely rivals my D3200! 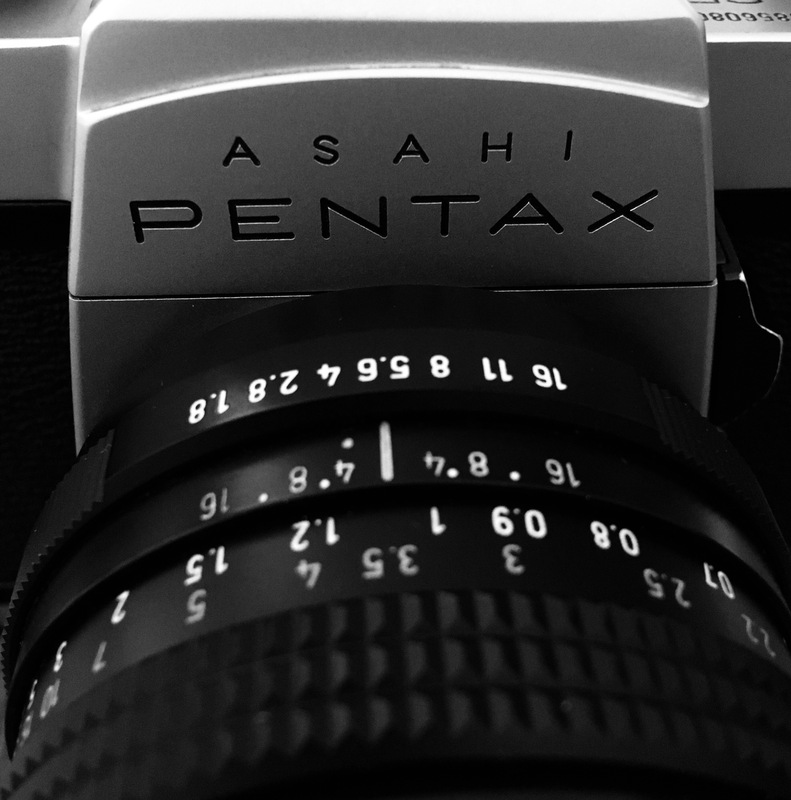 Good looking Asahi Pentax, Frank – wonderfully photographed too! Enjoy! Super Takumar 50mm F1.4… real top glass if you can find an excellent example and for some a cult lens from the 60’s. Great review. Love that shot of the top deck, just look at it; everything perfectly placed and proportioned. And yes, the sexiest advance lever of all time. No cushioning, but never hurts your thumb like some others do. This camera is indeed magnificent! Excellent post Frank! 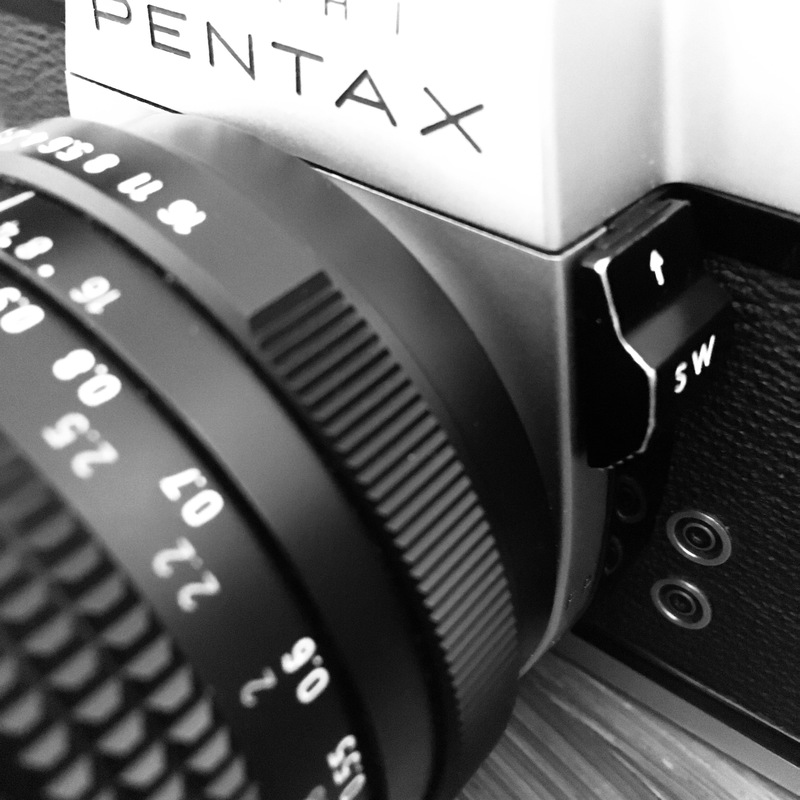 I considered to acquire this small camera bigger brother – Pentax 67ii with 105 f/2.4 normal lens.